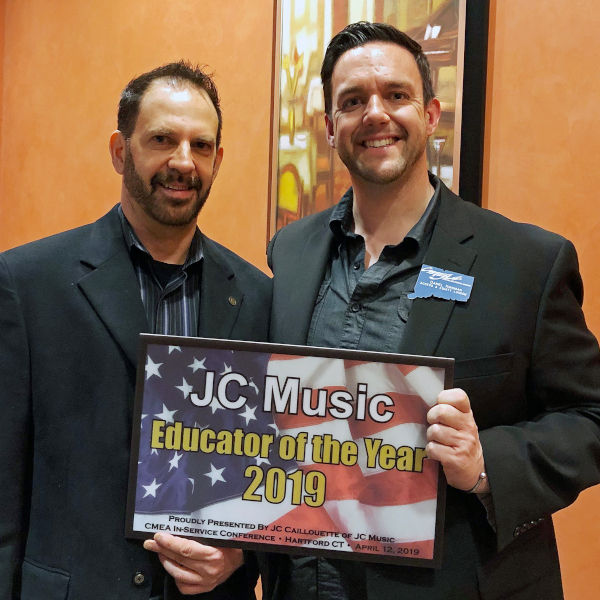 2019 JC Music Educator of the Year Award – Dan Kinsman! 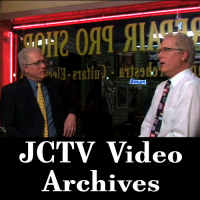 JC Music, LLC has been family owned and operated in Meriden since 1988. We are a full line, one-stop music shop, providing new and used band, orchestra & fretted instruments along with amplifiers, percussion, print music and a huge selection of accessories. Our 3,000 sq. ft. showroom has a display of woodwind and brass instruments second to none. We also have one of Connecticut’s largest selections of music books, methods and sheet music. We stock 250 different choices in guitar strings and 180 choices of drum sticks! At JC Music, we’ve been making musicians for almost 30 years. Our goal is to make music accessible to anyone with an interest in any musical instrument, by providing affordable quality instruments and instruction. We strive to make music an integral part of each person’s life. Each staff member at JC Music is a musician too, and there is nothing we like better than meeting and talking with other aspiring musicians. Music is a universal language that bonds people of all ages and backgrounds. It is a powerful force that has the potential to change people’s lives and shape their personalities. We have Educational Representatives visiting schools throughout Connecticut on a weekly basis, and offer a complete band and orchestra rental program with the best rates available! JC Music is now the fourth largest rental store within their rental affiliate network of over four hundred stores nationwide, with Veritas Instrument Rental. We also offer FREE school delivery. We have an in-house repair pro-shop for fast turnaround on any musical instrument. We work with the finest technicians and luthiers in the business and provide expert repairs on all instruments including band instruments, orchestra instruments, guitars, banjos, autoharps, accordions, pianos, amplifiers, pro-audio equipment, keyboards and much more. Our consignment program has grown into one of the states largest, giving us a huge selection of used instruments to offer to our customers. 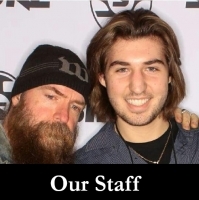 No matter what instrument you’re interested in, our knowledgeable sales staff will help answer your questions. Our goal is to completely satisfy every customer. See our Google Reviews and Facebook Ratings!